Mumbai, Sep 12 : Bappi Lahiri has composed a jingle to welcome legendary boxer Mike Tyson to India. 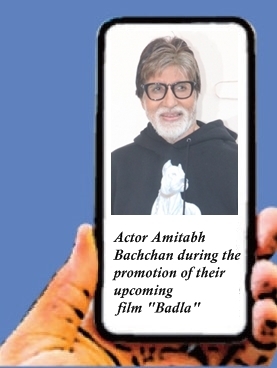 The celebrated music director says it is a perfect Bollywood way to greet the boxing legend. Tyson will visit India for the Kumite 1 league mixed martial arts (MMA) tournament to be held here on September 29. "It is such a strange coincidence. When Tyson will be in my India, I will be in his (country). If I would have been in Mumbai, I would have personally gifted him the jingle," Bappi said in a statement. "It is such a happy moment for our country that he is coming all the way to promote MMA and prepare fighters from our country. I think he deserves the warmest welcome so I could not think of anything else but Bollywood style music to greet him," he added. The jingle opens with "Om Swagatam", and then elements of Bappi's iconic disco style are infused in the jingle. On the association, Mohamedali Budhwani, Kumite 1 League's CMD, said: "I was so humbled by Bappi Da's child like excitement and how gracefully and quickly he took out time to compose a jingle to welcome Mike Tyson. We will play this on stage when Tyson goes up and we also want to do a video conferencing so that Dada can personally gift it to him. We want Mike Tyson to know the creator of this track."